Specifically, part of a chassis allegedly intended for an iPhone 11 has been shared on Weibo (a Chinese social media site). As you can see below, it’s basically just a piece of metal but it includes cut-outs for various components, including what looks to be a triple-lens camera. Of course, this could be intended for any phone or another type of device entirely, so we’d take it with a pinch of salt, but it matches a leaked schematic that supposedly showed a welding pattern for the iPhone 11. It also matches leaked renders, which show a triple-lens camera in the top left corner of the iPhone 11 (or possibly the iPhone 11 Max). So while we wouldn’t take this design as fact – especially when at least one other design has previously been leaked – it is looking ever more likely that at least one iPhone 11 model will have three cameras and they'll be arranged like this. 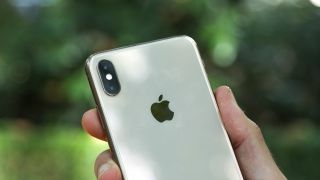 We probably won’t know for sure until September, as that’s when the iPhone 11 range is likely to be announced, but we’d expect to hear plenty more rumors and see plenty more leaked images ahead of that.